Whenever magical malfeasance is afoot, Sam’s your man. Or gargoyle, as the case may be. As head of security for Magic, Spells, and Illusions, Inc., Sam makes sure the company’s people and secrets are safe. In his spare time, he keeps an eye on the city, looking for skullduggery that only a magical gargoyle can take care of. When he spots an alarming outbreak of garden gnomes, he knows there’s danger brewing—and not just because of the kitsch overload. He recognizes what those shiny red hats really mean, and if he doesn’t take action tonight, more blood will be shed by the morning. 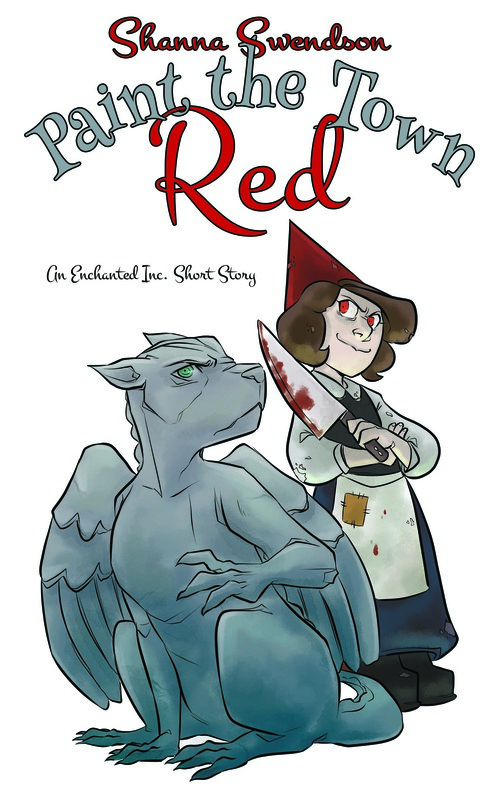 This short story set in the universe of the Enchanted, Inc., series offers a glimpse into the world of one of the most popular secondary characters and what he does when he’s not helping Katie Chandler save the company from bad magic. Cover illustration by Sarah ‘Pickles’ Dill.